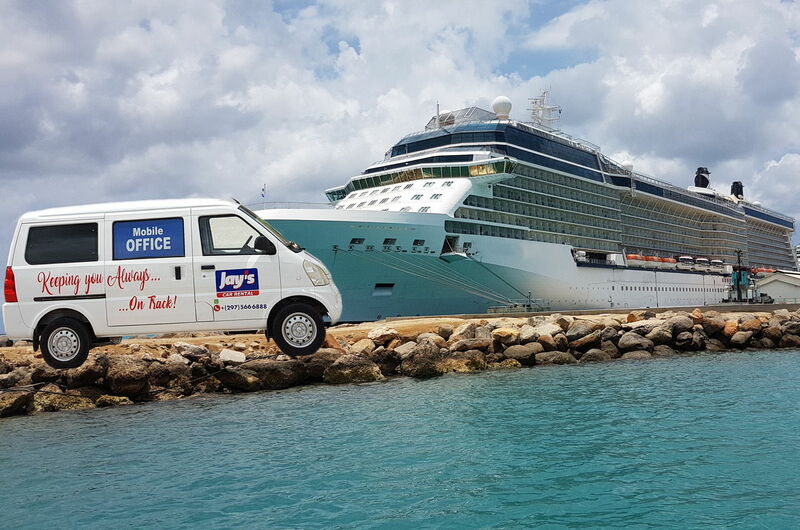 Jay's Car Rental - Aruba. Committed to providing customers with the highest standards of quality and reliability. Looking for a reputable car rental company? We offer the largest selection of rental cars and the Best car rentals deals on the island. With a personal touch we offer on time and professional service. We are committed to providing the customers with the highest standards of quality and reliability. Enjoy our beautiful island in a 4X4, convertible or air-conditioned hardtop. If you prefer, ride in a new air-conditioned Sedan. All of our vehicles are either new or very well maintained. Our vehicles are regularly serviced at our own Rental workshop and cleaned before every rental period by our professional car wash team. Our main office is located 2 minutes from Airport, we offer free shuttle to the office or free pick-up and drop off to and from your hotel. The drop off service is available from Monday to Thursday and the pickup service from Monday to Sunday. By placing your reservation on-line, you benefit from the Best Bookings Rates on Aruba. Guaranteed! Our professional team is friendly and looking forward to welcoming you to Aruba!